People in Colombia seem to have forgotten that in the not-too-distant past, they were the ones seeking refuge abroad, and that Venezuela offered a tolerant and helping hand. BOGOTA — The biggest of many differences between Colombia and Venezuela is that, at the start of the 20th century, our Venezuelan neighbors opened their doors to migrants. They welcomed, among others, Italians, Portuguese, Spaniards, Poles, Germans, Yugoslavs, Jews, Lebanese, Turks and Chinese, all of whom contributed to creating a rich mix with local inhabitants. Later, many Latin Americans made their way to Venezuela as well. People fled the region's dictatorships and settled in that mecca of cosmopolitan culture and abundance. In the 1960s, there were millions of Colombians in Venezuela, and at the start of this millennium, at a time of paramilitary lawlessness in Colombia, their numbers increased. Colombia is quite the opposite. Some 20 years ago, the Labor Ministry registered barely 109,000 foreigners living here, most of them gringos (U.S. citizens). It's like we never really needed or wanted anyone else. During World War II, then Foreign Minister Luis Lopez de Mesa closed the doors on European Jews, saying they were "so crafty." In his novel El rumor del astracan (Rumor of an Astrakhan), Azriel Bibliowicz wrote about the few Jews who did manage to settle here in that time. Later, when Chileans sought to escape from the regime of General Augusto Pinochet (1973-1990), our security services made sure they couldn't enter. More recently, authorities discovered 150 Chinese hiding in Colombia. Turns out they didn't even plan to stay here. Nevertheless, Francisco Santos — a conservative who serves as ambassador in Washington — went so far as to warn of a "Chinese invasion." This rather xenophobic DNA of ours has deprived us of the benefits of mellowing our idiosyncrasies with some multicultural variation. It's also bad luck for the desperate people in Venezuela, who seek refuge here only to be met with uncouth chauvinism. The situation has become even worse under Colombia's new president, Iván Duque, who replaced Juan Manuel Santos (2010-2018) earlier this year. In the past three months alone, 99 Venezuelans were killed — 13 women and a 86 men — not to mention all the children who have starved to death or those who have died of exposure or from exhaustion on the roads. It hurts just to write about it. 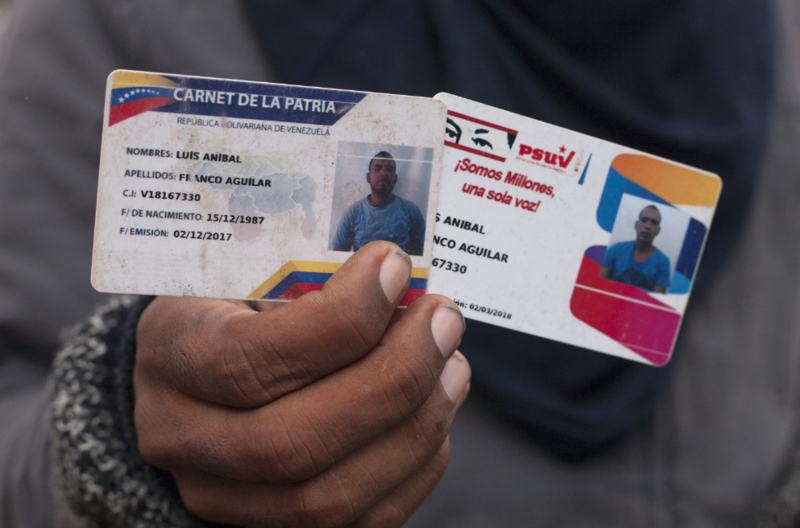 Last week, in Bogota, a Venezuelan man, a 23-year-old father of two, was lynched. He'd been selling sweets, and a criminal who saw him and "suspected" him of being a child snatcher used WhatsApp to organize a lynch party. The zealot and his "civic" collaborators finally caught up with the man and kicked him to death on the street, in broad daylight. Also in the capital, two Venezuelans were separately reported to have been menacingly cornered on a Transmilenio bus platform, though they managed to get away when the bus arrived. And elsewhere in the country, refugees have had their tents and shacks set on fire, or been shot. It hurts just to write about it. Such collective hatred has much to do with the deceptive way the media and state officials handle information on migrants, whom they accuse of bringing disease, crime or prostitution. It's our version of what Donald Trump says about people from the Third World. The situation is taking on aspects of a humanitarian crisis. It's also clear that the government has little interest in addressing it. This is a government, after all, that isn't even willing to address problems in the healthcare system or in the schools, even though state universities are literally falling apart. A government that won't protect people who are being killed for demanding restitution of their stolen lands, and that will soon apply a hunger-inducing VAT to food products. Still, what a disgrace when ordinary Colombians are doing the government's dirty work, frightening and killing migrants from a country to which we are historically indebted.